Shopping for a used vehicle is often times more cost efficient than purchase something brand new. Regardless of what you’re looking for, chances are we have it here at Certified Autoplex. Our main focus is more high-end luxury vehicles, but we still carry the more popular, affordable brands such as Toyota. A lot of the models we get for these more mainstream brands are often times the top models of the lineup. This way even though they’re not technically luxury brand, we’re still offering the more advanced and equipped models with top-of-the-line features. Aside from the savings, there are plenty of other reasons to shop for your next used vehicle here at Certified Autoplex. Our team takes pride in our inventory, and like each vehicle, every customer is special to us. When a used vehicle arrives to our lot, it goes through an extensive reconditioning process to ensure it’s in the best condition possible before it’s purchased. 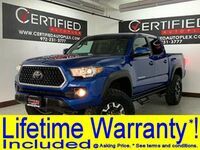 Most of the models on our lot come with a lifetime powertrain warranty, which is sure to provide you with the peace-of-mind you need to drive off our lot confident and satisfied with your new purchase. The Toyota lineup is rather diverse when it comes to size, performance and price. Drivers will have the choice of everything from a compact sedan to a full-size SUV to a hatchback hybrid. 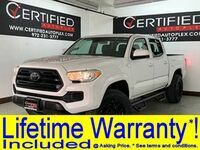 There are 20 Toyota models in stock here at Certified Autoplex, and although that number will change, drivers can count on a wide arrangement of options from this brand here in Carrollton, TX. For those in need of an affordable used sedan, the Toyota has both the Corolla and the Camry to offer. The Toyota Corolla is smaller than the Camry, but both offer seating for up to five. Overall, there is more room in the Camry for passengers and a little extra space in the trunk for more belongings. However, since the Corolla is smaller it is also more efficient, and therefore saves more on fuel costs. Drivers who need more versatility have quite a few options to choose from. On the smaller side of the lineup, the Toyota RAV4 crossover is available for someone who needs more space but doesn’t want to give up the efficiency. Those in need of more space for passengers may opt for the Toyota Highlander, which offers seating for up to eight passengers depending on the model. The Toyota Prius is a popular choice for drivers looking to take efficiency to a whole new level. Hybrid vehicles are becoming increasingly popular, but the Prius is the one that started it all. With seating for up to five, this hatchback design offers plenty of space for extra cargo as well. Prospective car buyers looking for a vehicle that is family-friendly may find either the Toyota Sienna or the Toyota Sequoia to be a perfect fit. The Sienna minivan was designed with family in mind, and it has a ton of features to prove it. The Sequoia is more on the adventurous side, but it offers plenty of space for the whole family to join in. Those interested in learning more about the Toyota lineup here at Certified Autoplex are encouraged to contact us for further details. Drivers are welcome to schedule a test drive online for the particular vehicle they’re interested in, and our inventory can be viewed online as well. Interested in a Used Toyota Models?